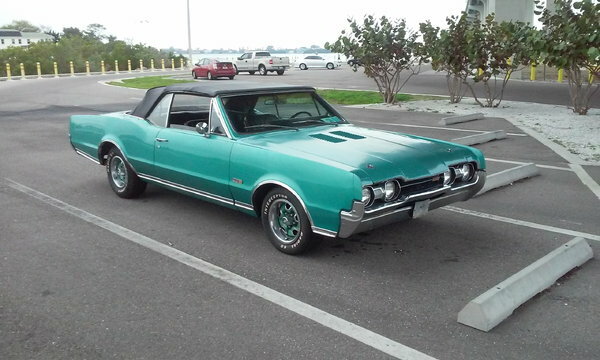 1967 Oldsmobile 442 Convertible with Muncie M-22 Rock Crusher 4-Speed Manual Transmission and Hurst Shifter. Super Rocket Ultra High Compression Engine 425ci with 385hp, 480lbs. of Torque with Forged Steel Crank and Rods Stock from the factory which has been rebuilt and bored .040 over and has 190 lbs. Of compression. This is a very rare car that needs work but well worth it.